We never stop short of a culinary experience you're sure to enjoy. Stop in to see us today. We have an unwavering commitment to flavor. Connect with us and let us know how we are doing. 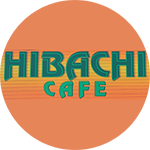 © Hibachi Cafe. 2014 - .